Cuckooland is a small, comfortable mid-range lodge in a spectacular setting, right on the edge of Bwindi Impenetrable Forest National Park, with superb views overlooking the forest. Set in 10 acres of grounds, built almost entirely of locally sourced natural materials, accommodation consists of 4 spacious comfortably furnished double tents, built on wooden platforms and with a thatched roof and large veranda. 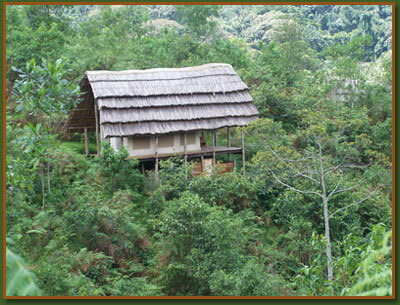 Each unit is complete with its own toilet, and shower, with solar-heated hot water and is situated less than 20 metres from the edge of the forest, providing a wonderful vantage point for viewing the prolific birdlife and different primates which are especially drawn to the fruiting trees at the forest edge. The restaurant, sited with a commanding view of the surrounding forest, serves delicious food incorporating many of the organic fruit and vegetables grown on the site. 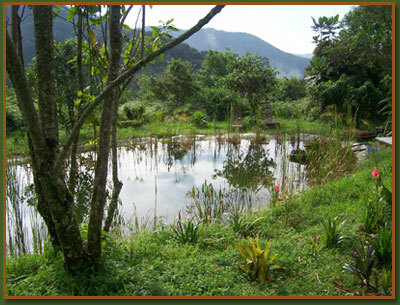 Cuckooland is around 2 km from the nearest other dwellings, the small settlement of Murushasha, Ruhija and equally far from the road, so visitors are assured of complete tranquillity with the only sounds being those of the forest. 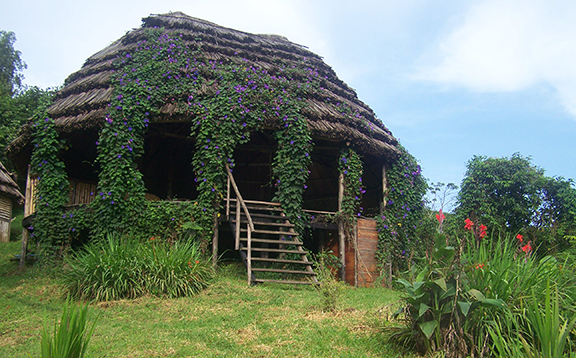 It is conveniently situated 15 kms (30-40mins) from Ruija, nearest gorilla tracking station.